Our dear Brother passed away Friday, October 13th, 2017. 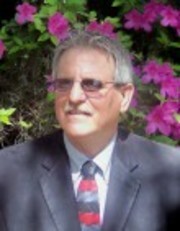 Terry is a fourth generation Sumter Countian and has a vast knowledge of our area. His background is in agriculture and timber. His education background includes Wildwood High School and Central Florida Community College. In 2008, Oxford Land Company awarded Terry REALTOR® of the YEAR. He carries the designations ALC (Accredited Land Consultant) and GRI (Graduate Realtors® Institute).